I recently watched an interview of Seth Godin on Marie Forleo TV, and he said that one who is willing to write the blog should do it even though no one reads him. So if you read this page – I’m very proud to have reached you, because this is my little victory. Also I hope you will enjoy this information and it will give you ideas on what is contemporary art and which show to see now days. I think this autumn the show of Pipilotti Rist is a MUST SEE if you live in NYC or visit the city. Sergei Shchukin, very famous Russian Collector from beginning if century, whose collection is now on view at Fondation Louis Vuitton, Paris, had said that he was expecting the relationship to a work of art to happen at the physical level. 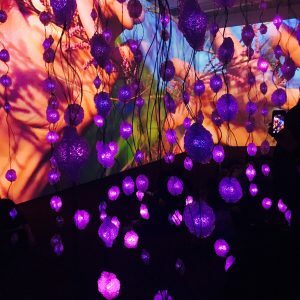 I pretty much agree with him, and this is what will occur when you visit New Museum and Pipilotti Rist Pixel Forest. The exhibition takes full 3 floors of the museum. 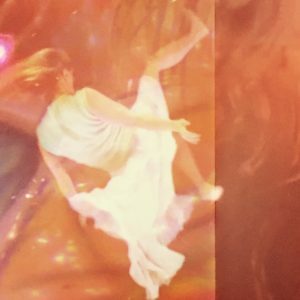 On one floor – you can lay on a sofa and watch meditative video projected on the ceiling. It is an excellent idea to take videos from the wall and to give them another perspective. If you want you can spend an hour – watching the images of an underwater sea activities. It is so attractive and hypnotic – you could really take a nap on the sofa. On the other floor – and I suggest to take stairs to navigate, because there are artworks in between – there is kind of forest of pixels or medusas or crystal creatures who change their color from pink rose to violet to pink again and so on. And on the back – there are aquatic videos – inside of a fish, sea water moves, floating ladies. Really I just wanted to be in the video, I think Pipilotti Rist wanted to remind us the pleasures of life. 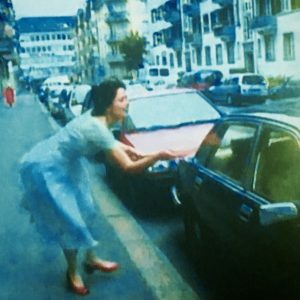 And on the final floor – the most interesting video for me was the one where a lady in a nice blue dress and red shoes is happily walking on a street with a multi-color hammer and crashes the car glasses with a silent approval on a cop-girl walking just close by. It is a fanny video basically. I think this is a sort of feminine anger expression without a real claim or protest. I think those ones are the best. 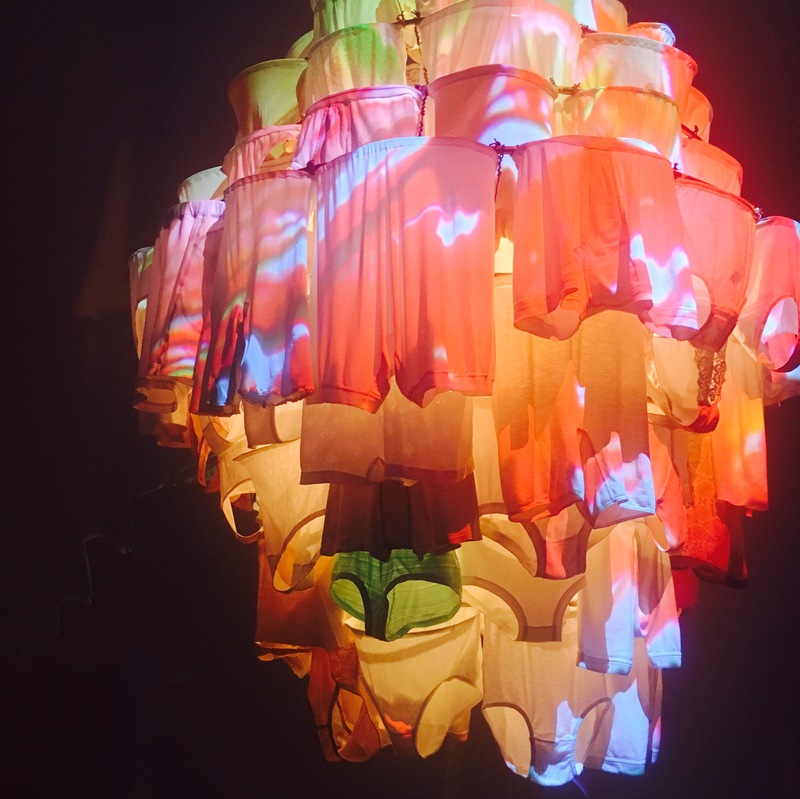 I think I gave you enough reasons to go and enjoy the show of Pipilotti Rist. It is very popular among New- Yorkers by the way and there are lot’s of kids who looked like they were loving it, which I think is a good sign for a contemporary art exhibition.